U4-U10 Rec picture day (for team and individual pictures) is scheduled for Saturday, April 6, 2019 (Game Day 3). 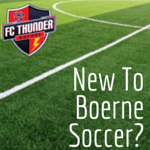 Pictures will be taken at the Boerne City Park at the Lone Star Photography tent (to be setup between Fields 3 and Field 4). See the picture schedule below for each teams pre-game picture time (pictures are scheduled to be taken before the scheduled game while providing at least 30 min before game start). Please review the order form below for package options and fill out your order form ahead of time, if possible. Payment may be made with cash, a major credit card, or a check made payable to Lone Star Photography. Please be on-time (or a few minutes early) and prepared to take pictures as a team at our scheduled time. Please help corral players from your team together so that each team can get through this as quickly and painlessly as possible. Pictures and medals will be distributed to team coaches on Saturday, May 11 (Game Day 7).